There’s no doubt that Samsung Galaxy S8 and the bigger Galaxy S8+ are two of the most exciting phones of the year, but they are also the most delicate thanks to a nearly all-glass body. One mistake and you could end up with a broken or cracked Samsung Galaxy S8, be it on the front or back panel. Both panels have glass that is protected by Corning Gorilla Glass 5, but this doesn’t make them indestructible. So, if you want to keep your S8 or S8+ immaculate, having a case is a no-brainer, but which one is the best? Read on. Samsung is well aware of how delicate the Galaxy S8 and S8+ are and hence the S-View case. 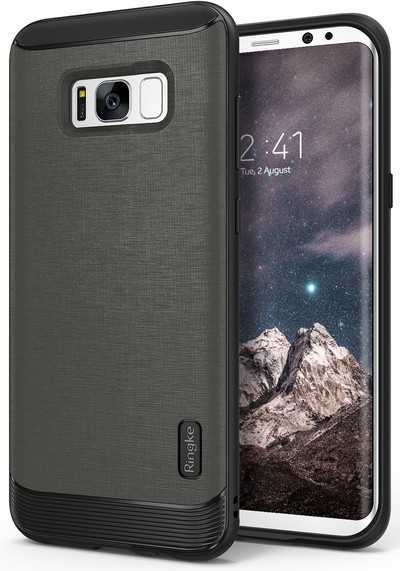 This is a favorite line of cases for many Galaxy phone buyers and at just $29, you’ll like how the latest version looks on your S8. 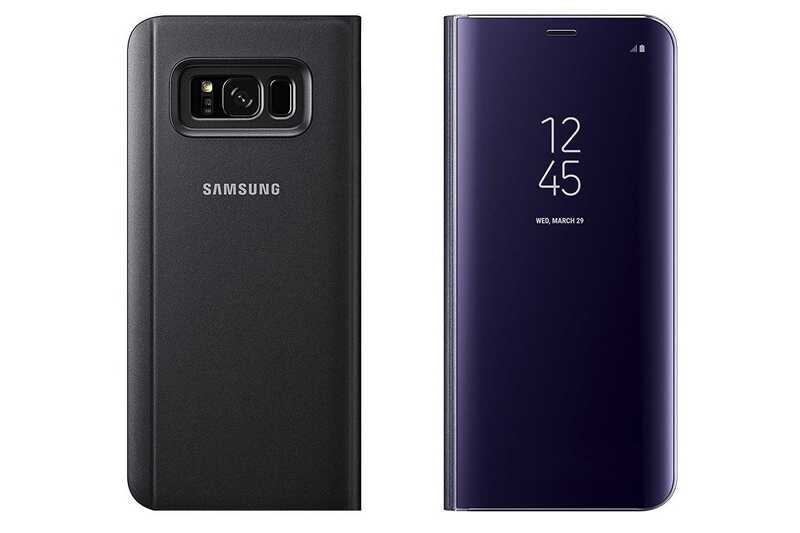 The S-View case has a flip cover that will protect the beautiful 5.8-inch curved Super AMOLED display on the S8 or the bigger 6.2-inch panel on the S8+. The case also adds extra functionality to your phone when in sleep mode, it’s compatible with wireless charging and lets users check the time and other notifications even when the front flap is closed. If this black, $29 version doesn’t fit your needs, there’s a gold version, but this one costs $48. 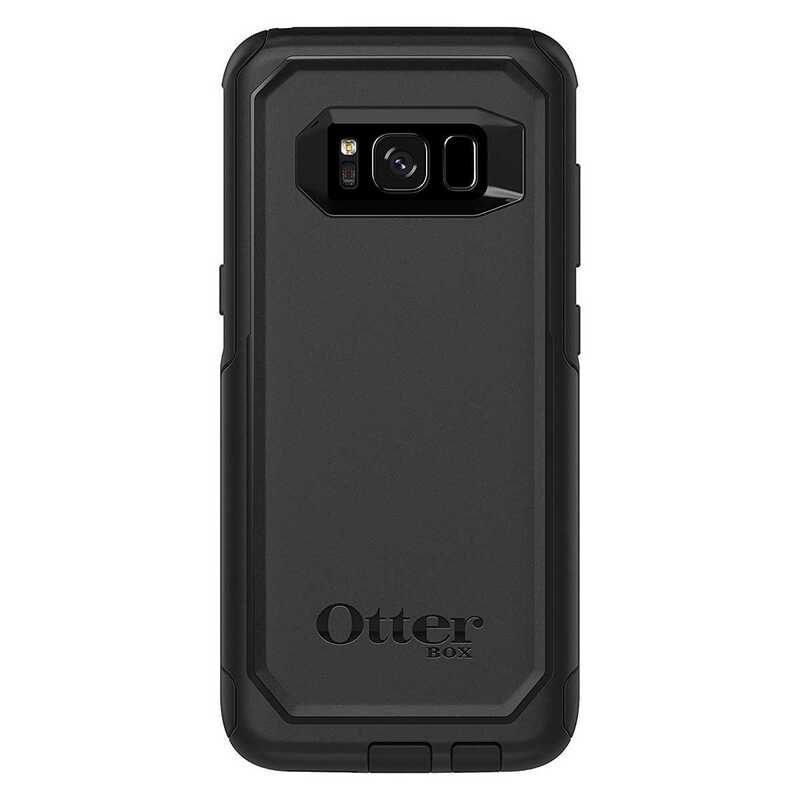 If you are in the market for a Samsung Galaxy S8 case that will keep your phone well protected while at the same time not letting go of the slim design, the Otterbox Commuter Series is a good start. This two-piece case has a softer inner sleeve that comes paired with a hard outer shell meant to help absorb any form of impacts. The case has port covers over the 3.5mm audio jack and USB-C port, which means no dirt or dust will enter the phone. The Otterbox Commuter Series is compatible with a screen protector and it can be yours for $22.92, down from the usual $39.95 – or even cheaper depending on the color you pick. If you don’t want to hide the beauty of your Samsung Galaxy S8 but still want to keep it pristine, you can get a clear case – and the best start is the Spigen Liquid Crystal. This case will keep your phone safe without messing around with the looks. It’s made of lightweight and flexible TPU material that makes it easy to pop onto the phone and adds no extra weight. As expected, the case has precise cutouts and buttons that will keep your phone’s functionality as it was before the case. If you are worried about wireless charging, well, the Spigen Liquid Crystal is thin enough to allow for this charging technology. The best part of this case is that it only costs a mere $9.99, but this might not be for long. 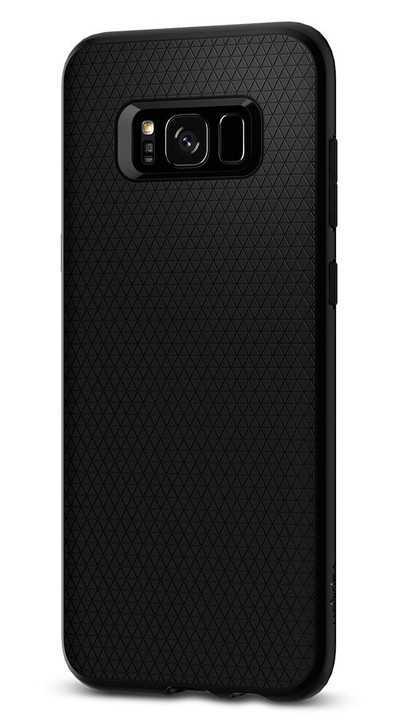 Another great Samsung Galaxy S8 case from Spigen is the Liquid Air Armor, which also offers a great design and quality protection to keep your phone safe. Whether you are going for the Thin Fit cases or Tough Armor series, you’ll walk away with something that makes your phone look good thanks to the great combination of a flexible TPU and a textured back. You’ll love the Liquid Air Armor even more given its $9.99 price tag. The Ringke Flex S case is not only a good case for your Samsung Galaxy S8, but it’s also unique in that it aligns with your phone’s name. Priced at just $8.99, the Flex S case offers exceptional protection thanks to the great combination of a flexible TPU layer that cushions the phone itself and is covered by a hard polycarbonate layer. You may have probably noticed that this is a familiar combination, but what makes the Ringke Flex S case special is that it’s more attractive yet offering a grippy, textured back. If none of these cases is your type, you can also check out the likes of CM4 Q-Card, Nomad Leather Folio Wallet or VRS Design cases. Also feel free to let us know which case you are using on your Samsung Galaxy S8 or S8+ via the comments section below.